Large, convex basin with rolled rim and narrow, flattened base; deep, open spout. 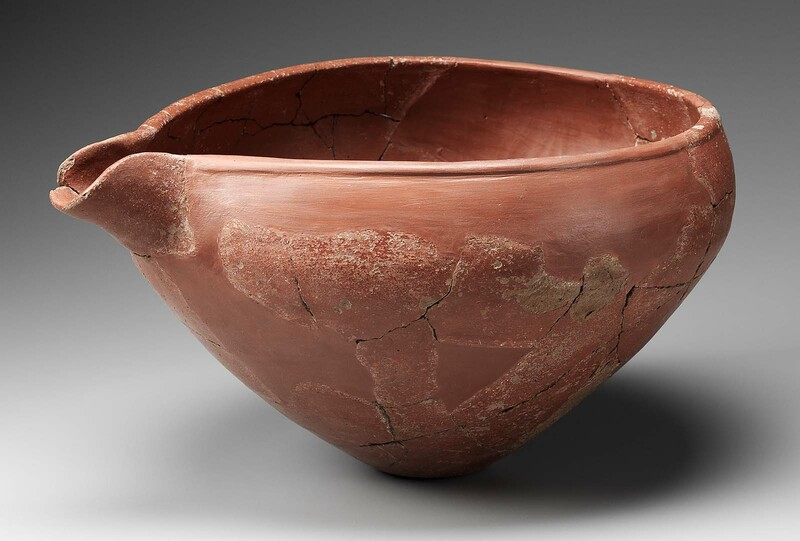 Brownware with red slip; surface heavily eroded. Repaired and restored in plaster. From Giza, tomb G 5989 C, debris of pit. 1933: excavated by the Harvard University-Museum of Fine Arts Expedition; assigned to the MFA in the division of finds by the government of Egypt.